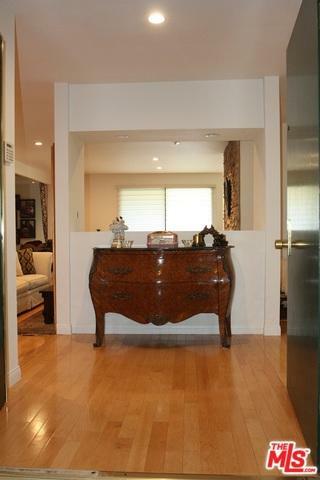 Fabulous front facing, extra large 2 bedrooms, 2 baths in prime Sherman Oaks location. Open floor plan featuring Formal Entry, Living room with Fireplace, Wet Bar with Caesar Stone counter top, Formal Dining room opening to a large balcony. Hardwood flooring throughout (except for the master). No shared wall. All stainless steel kitchen appliances, Double Oven and Built-in Microwave. Additional breakfast nook and separated laundry room with ample cabinets and shelves. Expansive Master Suite with a balcony and wrap around sliding mirrored closets, dual sink bathroom with a soaking tub and a separate shower. Second bedroom is being used as Family/TV room with second bathroom off the hallway. Plenty of storage throughout. Two Side by side parking with additional storage. 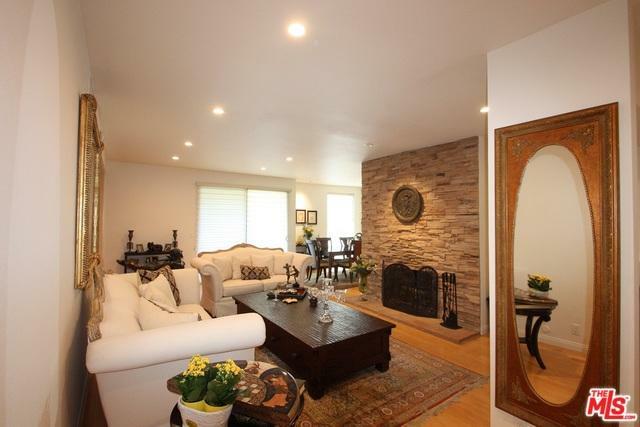 Easy access to Fashion Square, Local freeways, great dining and Westside. Listing provided courtesy of David Bayat of Coldwell Banker Residential Brokerage.